ship and freed the slaves including Crowther. 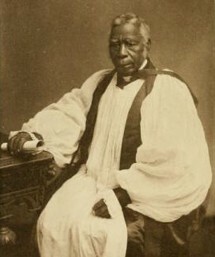 summoned to England and in 1843 was ordained into the Anglican Church. consecrated the first Bishop of Niger. education and finance the development of new African schools. nationalistic politician and strongly opposed British colonial rule.